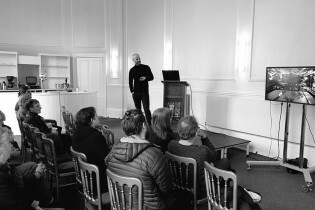 York’s beautiful De Grey Rooms hosted a series of talks on Saturday to give residents the opportunity to discover the wealth and diversity of creativity that led to York’s designation as the UK’s first UNESCO City of Media Arts. A series of digital installations and presentations included one from Tim Leigh who talked through some of the exciting and creative ideas Stage One have realised over the years. As well as using our new video to illustrate what we do and how we do it, Tim took along various components and prototypes used in the construction of Thomas Heatherwick’s London 2012 Olympic cauldron. These included components developed for the 204 petal stems, wooden formers and one of the petals from the original rehearsal set. Tim explained our role in projects as diverse as complex flying sequences for opening ceremonies to the construction of the Serpentine Gallery pavilions in London, before answering questions from the floor. It was a great opportunity to meet with other creative businesses based in and around York and to see how the excitement generated by the city’s new UNESCO status is gathering momentum and purpose. 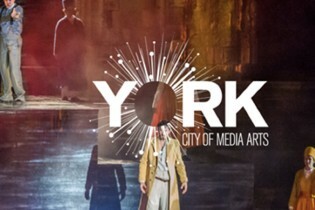 Read more about York’s City of Media Arts status on the UNESCO website here.